The first week of school is officially over and I am pooped! Since it is so late and I know I need a little breather, I thought I'd have a short and sweet post tonight. Along with my fashion post, tonight I am featuring my new blog makeover! Everything is now better organized (and SO cute)! Woohoo! Thanks BrandCandi! 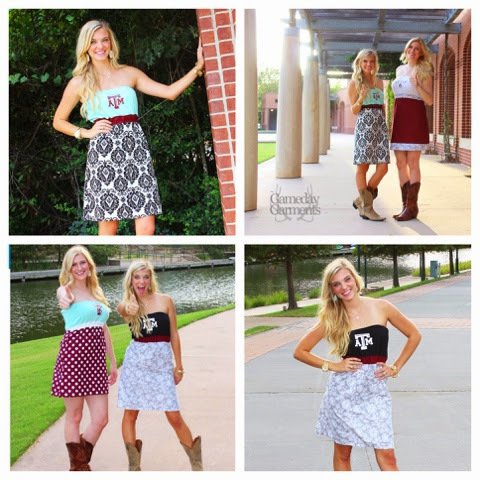 And now for some cute and classy gameday ideas for some of you Aggies or other maroon lovers! I have a ton more AWESOME clothing that I will be styling coming your within the next couple of weeks! Along with some more giveaways! Also, remember that detox I was talking about last week? Well guess what, I want that to be my September challenge! Join me, please (I've got my puppy dog face in full effect)?.... WE CAN DO IT! 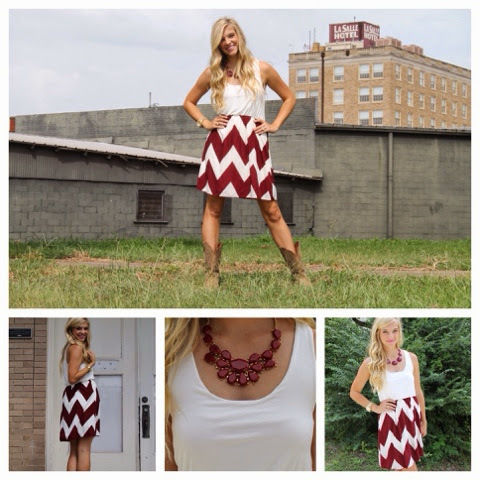 Hope you enjoy these cute maroon clothing! Have a safe and exciting Labor Day weekend! Happy Football Season!